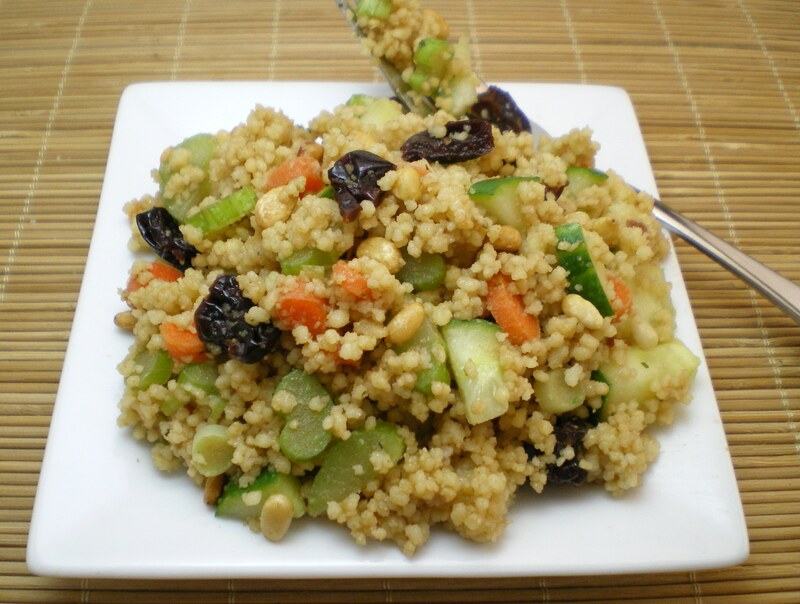 Cherry Couscous Salad « Great Lakes International Trading, Inc.
Bring broth to a boil. Stir in couscous. Cover and remove from heat. Let stand for 5 minutes. Fluff with a fork and refrigerate. Combine cherries, carrot, cucumber, onion and pinenuts in a medium sized bowl. Add the cooled couscous. Whisk together in a small bowl the oil, vinegar and mustard. Pour over the salad and stir. Serve.